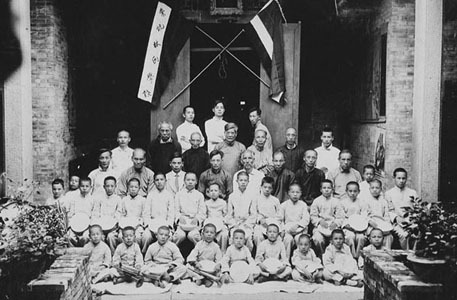 Oo Syak Gee Lu Society was founded in December 1897. Our founding fathers included Chang Yick Leong, Chang Dim Sing, and brothers Chang Batt and Chang Kee. Chang Yick Leong was a merchant and Chang Dim Sing was his assistant. 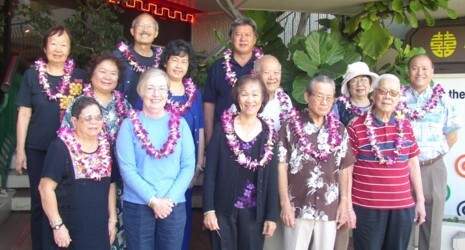 According to records in the book, "The Sandalwood Mountains," Oo Syak has the distinction of being the oldest remaining "Chinese village club" in Hawaii. 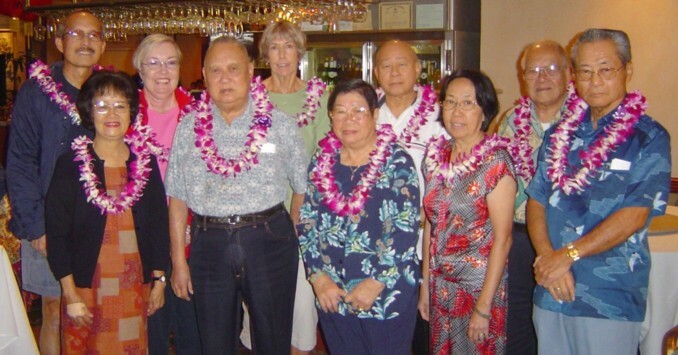 The society was formed mainly to help the people who came from Oo Syak to work in the Hawaiian Islands, promoting friendship and harmony among them. 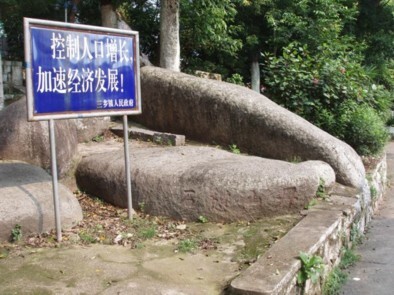 The village of Oo Syak is within the Gook Doo district of Chung Shan county, which is part of Kwangtung Province. In 1955, Oo Syak was incorporated under the laws of the Territory of Hawaii. 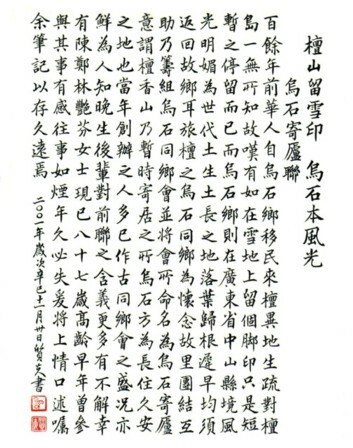 In its charter, the objectives and purposes of the corporation include "developing, promoting and maintaining harmony among members of the Oo Syak village of Canton, China who are now living in this Territory, and their descendants; and to do all things which may be deemed charitable, benevolent, educational and scientific to mankind." 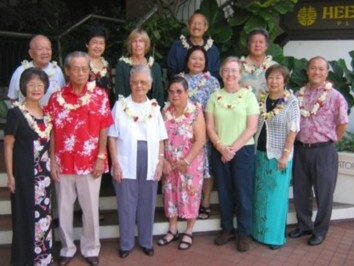 The society headquarters was at 312/318 Kamakela Lane near North Kukui Street. 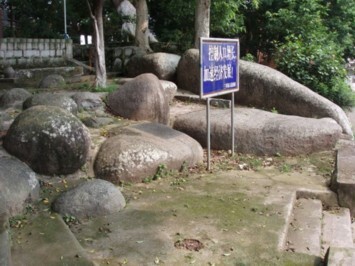 This property was donated by Chang Yick Leong when he decided to return to China for his retirement years. The property was listed at 5645 sq. ft. on the property tax bill. On it was a 2-story boarding & rooming house in which about 14 rooms were rented for $10 to $17 a month in 1955. 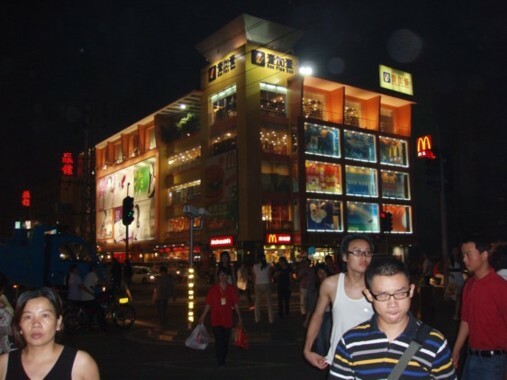 The tenants included Chinese and non-Chinese boarders. Unfortunately in 1960 the city decided to condemn the property and surrounding properties for its redevelopment project. 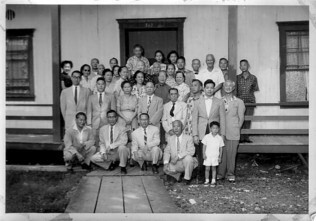 For a brief period in 1963-1964 when the Society was looking for roots, the society owned a property in Waimanalo. This was a large beach front property approximately half an acre adjacent to Waimanalo Beach Park. This property is on Laumilo street near the present Seven-11 store. Apparently many town members did not like the drive to Waimanalo. Oo Syak members seeing a decent investment in this property, formed a hui and bought the property from the Oo Syak Society. We currently own an older 6-unit apartment building at 2624 B Kapiolani Blvd. near the intersection of Kapiolani, Date, and Kamoku streets, which we purchased in 1965 soon after selling the Waimanalo property, and we have received rental income ever since. All six units are 1-bedroom units. 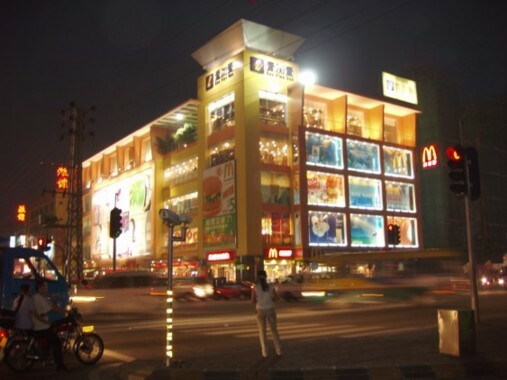 The property is managed by a third-party agency. 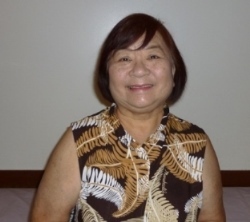 Member Mrs. Eunice Chang Lum Chun was one of the tenants of the old Kamakela headquarters/rooming house. She recalls much of the history of the Kamakela property. In her 80's, Mrs. Chun has helped Oo Syak to know its history. She has provided various stories and translations about Oo Syak Gee Lu Society. Some of these works are attached at the end. 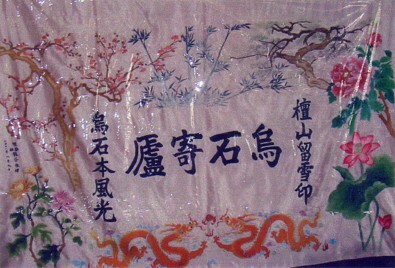 She has generously donated the beautiful silk Oo Syak banquet banner that is shown on our web page. 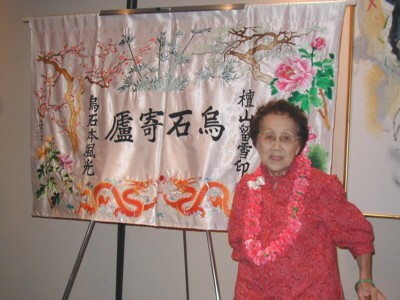 Mrs. Chun has also generously willed to the Chinese Palolo Home her assets so that the home may continue to help the elderly. Mrs. Chun continues as the Principal of the Tai Koong Chinese language school. Click here for Map showing location of Oo Syak (Source of map not known). Another map showing location of present day Oo Syak (Wushi cun). EXCERPTS FROM "THE SANDALWOOD MOUNTAINS"
Right photo taken in mid 50's of the members inside the building. On the wall in the back, a portrait of Yick Leong Chang is to the left and one of Dim Sing Chang is on the right. Do you recognize anyone in the photos? Partial list of members shown to the left. Large tree at the top right: Oo Syak, the strongest of the three villages in Sam Heong. Bamboo at the top middle: Pang Larm Village. Tree at the top left: Que Tau Village. Characters at the left: The area of Oo Syak village is a beautiful place to live. Flowers at the sides: Are for the four seasons. Oo Syak and the other villages are strong to withstand the winters. Dragons at the bottom: Support Oo Syak. The following is the only record that was available after receipt of the Oo Syak Charter. Records before the charter are not available. Oo Syak Gee Lu 2011 Annual Banquet News Coverage Video. Read a Melissa Chang article. 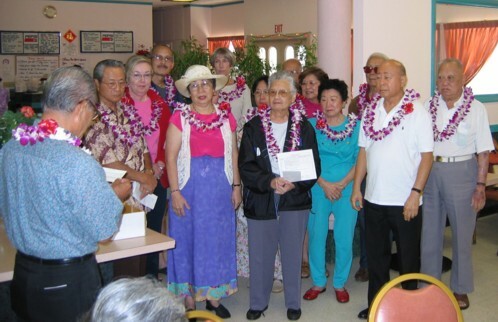 The June 16, 2007 Visit by the Sanxiang/Oo Syak China Delegation. 2007 Trip to Oo Syak village. "Thanks to member Basilio Chen, of San Francisco, who welcomed us to Oo Syak village and was both an interpreter and "goodwill" ambassador for our trip. He introduced us to new friends and family at our first visit to our ancestral village." - Connie Mark. Trip photos. Hampson and Evangeline Lum of San Francisco. 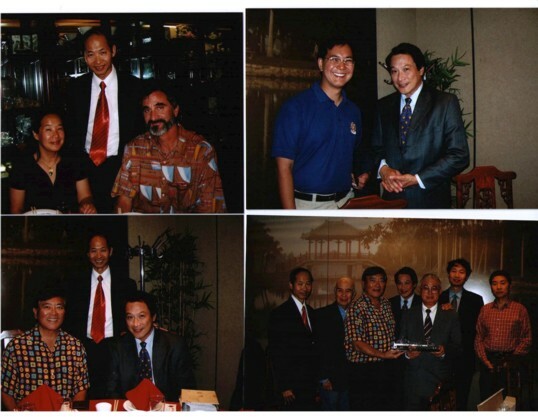 1996-1997 Photos of the Yong Sing Installation Meetings and Annual Banquets. Kwangtung Province districts indexes of clan names by villages. First V.P. Edith P.S. 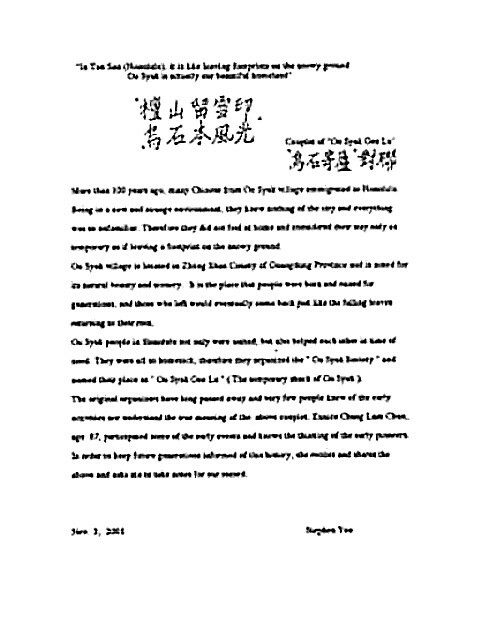 Won received a letter from Joyce Chan, Director, Chinese Historical Society of America, dated May 31, 2004, recapping their telephone conversations about the work and life of Holt A. Cheng, MD. The late Dr. Cheng is known to be the first Chinese to pass the California medical exam in August 1900, and he is from Oo Syak Village (called Wu Shi in Mandarin). 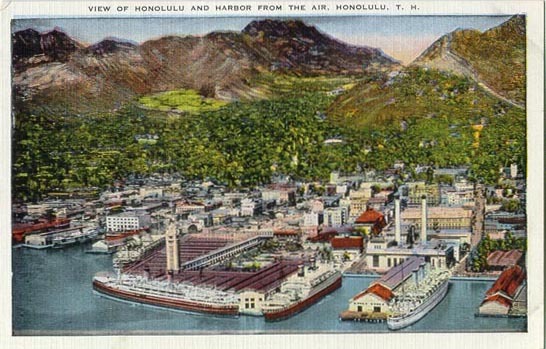 One account of his early life is as follows: At the age of eight (about 1886) he came to Honolulu, HI to work for his uncle. After hours he went to night school and eventually graduated from high school. After his uncle retired, Dr. Cheng found his way to California where he attended the College of Physicians and Surgeons paying his way by picking apples and selling art on the streets. 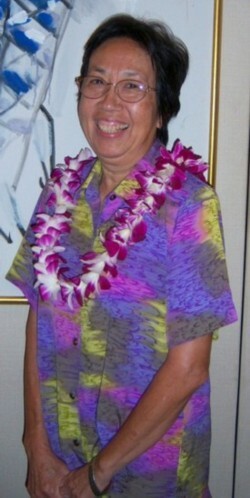 Documents on Dr. Cheng are on file with the Bishop Museum, Lyman Museum and the Hilo Public Library. This first news articles about Dr. Cheng is written by a non-Asian reporter in 1904, Click Here. 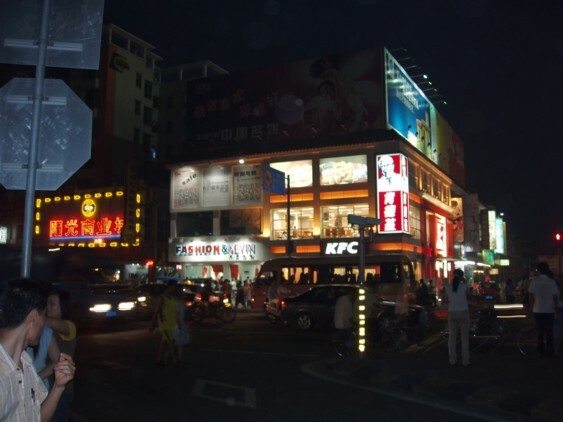 The next news article was written recently by an Asian reported, Click Here. Also, please read article by Julie Soo. 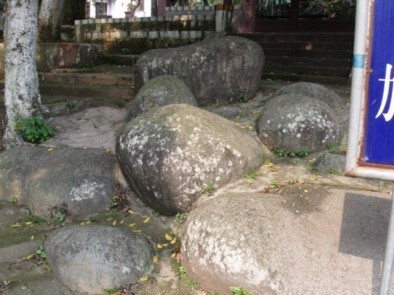 It was also learned that Dr. Holt A. Cheng, Canton, China was listed on the official list of meat inspectors viseed before U.S. consuls, also official inspectors authorized by the Bristish local government board and approved by the Department of Agriculture, dated December 15, 1910 and October 3, 1913. Under the Inspection of Imported Meats and Meat Food Products, Food and Drugs Act of 6/30/1906, Regulation 32, (a) Meat and meat food products imported into the U.S. shall be accompanied by a certificate of official inspection of a character to satisfy the Secretary of Agriculture that they are not dangerous to health, and each package of such articles shall bear a label which shall identify it as covered by the certificate, which certificate shall accompany or be attached to the invoice on which entry is made, and (b) The certificate shall set forth the official position of the inspector and the character of the inspection. 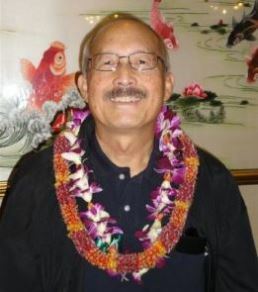 Oo Syak Member Dr. Homer Ho Hua Cheng, the son of the Dr. Holt A. Cheng, and Oo Syak Past-President, the late Harry T.K. Chang are first cousins. Dr. Homer Cheng is a retired physician who maintains homes in Florida and California, besides owning a home in Oo Syak village. On November 15, 2008, The Guanghua College of Stomatology, Sun Yat Sen University, celebrates its 100th anniversary. It was formerly the Guangdong Guang Hua Medical College, founded by Dr. Holt A. Cheng. 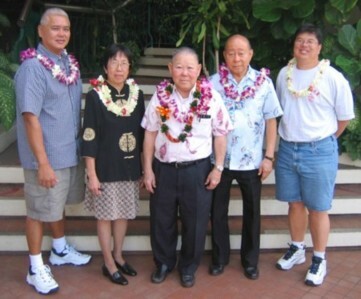 His son, Dr. Homer Cheng and his family traveled to China to attend the celebration. We thank our friend Joyce Chan of San Francisco to keep us informed of the Dr. Holt A. Cheng history. 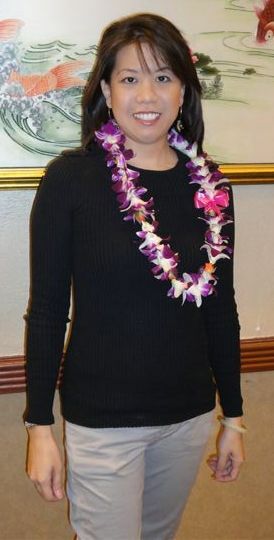 Kelly Hu, the well known actress from Hawaii, who co-starred with The Rock in The Scorpion King movie, is a first cousin of Daryl H.K. Hu, Oo Syak Treasurer. Kelly Hu's father is the late Herbert S.H. Hu (Oo Syak member). Chang Apana, from whom the idea of the character Detective Charlie Chan was created, is the uncle of members Dai Fun Chang, William Won Chang (Oo Syak past-President 1968-1969), and Charlotte Chang Kop. Charlotte's father Chang Kwock was one of four brothers to Chang Apana. 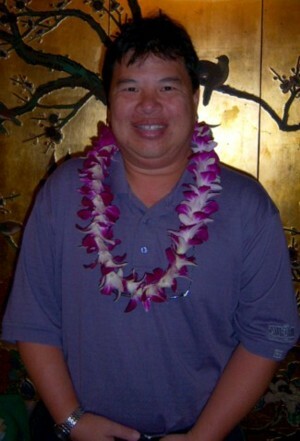 Chang Apana was born in Waipio on the Big Island. His family moved back to China (I assume to Oo Syak since brother, Chang Kwock, was from Oo Syak, as confirmed by Charlotte Chang Kop.) when he was three, but he moved back to Hawaii when he was 10. Visit The Charlie Chan Family Home web site. 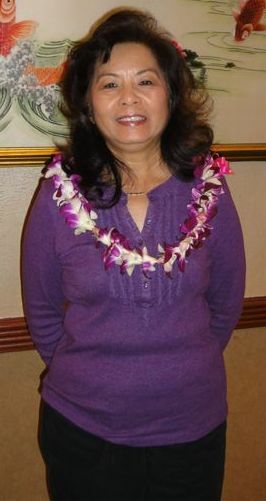 At the January 25, 2004 BOD Meeting, L-R: Ellen M.W. 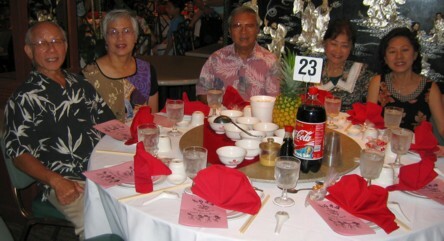 (Young) Lum, Judy (Chang) Kwock, Nancy (Chang) Lee, and Daisy (Chang) Lum-Akana. Ellen M.W. Young: Father-Young Lun Ho (Young Hing) came from Oo Syak. Siblings include Thomas S.C. Young and Loretta M.I. Young Lee. 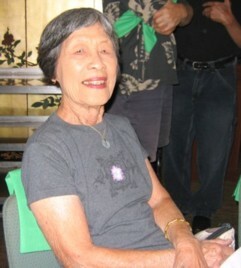 Judy Kwock: Granddaughter of Founder Yick Leong Chang. Nancy Lee: Father-Chang Kin came from Oo Syak. 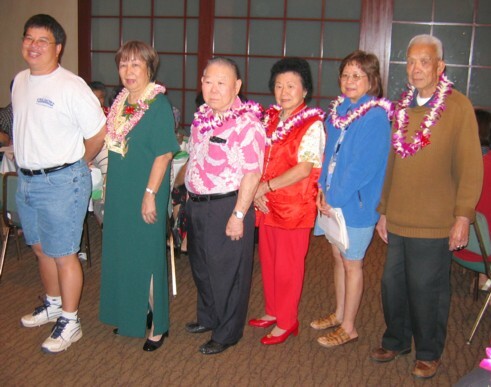 Siblings include Daisy Lum-Akana, Henry T.H. Chang, and George T.H. Chang. 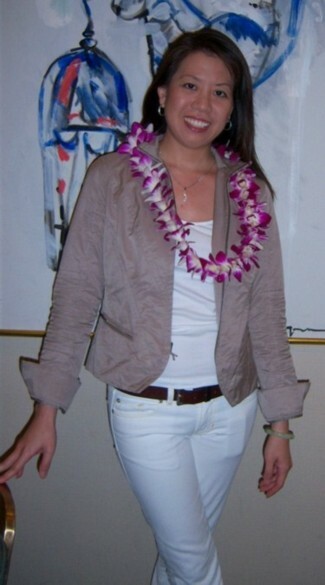 Daisy Lum-Akana: Sister of Nancy Lee. 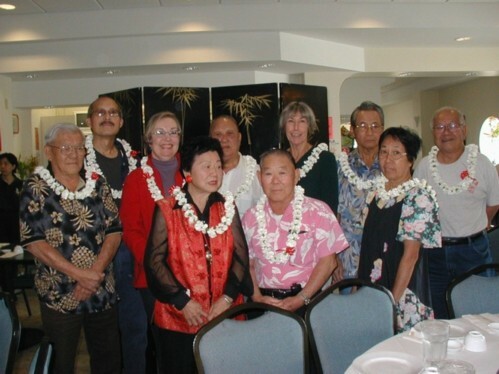 At the August 14, 2004 Annual Banquet, L-R: Ernest G.C. 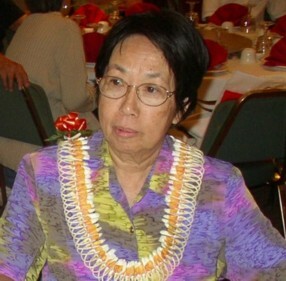 Chang, Lillian C.M. 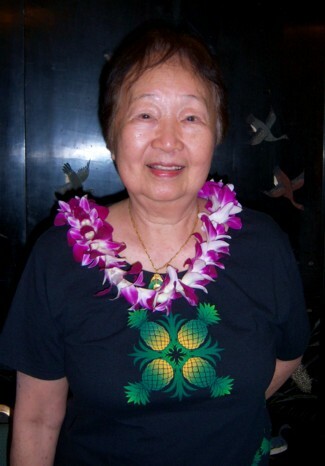 (Chu) Chang, Dorman Lum, Evelyn W.Y. Lum, and Betty Chun. Ernest, Evelyn, and Betty are children of the late Naiman and Gertrude K.S. (Kwock) Chang who are both Past-Presidents of Oo Syak. Other children of Naiman and Gertrude are Lawrence G.H. 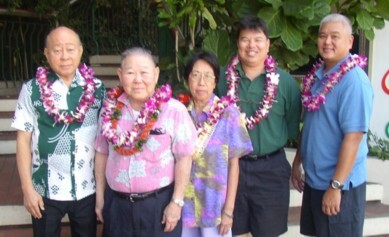 Chang (Past-President), Alvin G.K. Chang (current 2nd V-P), Leonard G.L. Chang, and Gladys Tang. Lawrence G.H. Chang on far right with family during Double Ten parade. 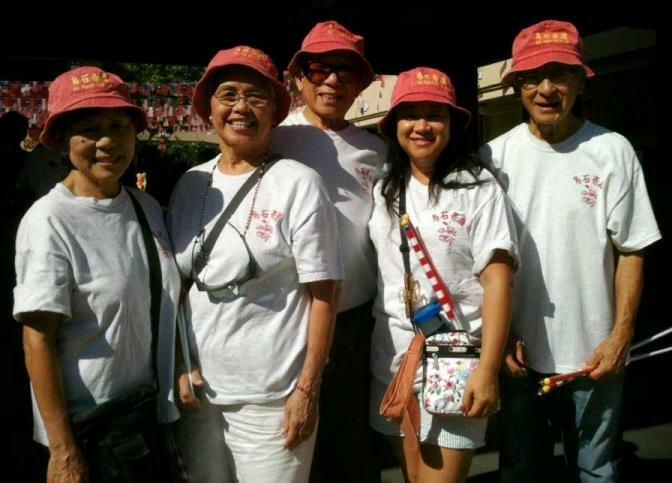 L-R: Betty Chun, Lillian Chang, Ernest Chang, Lizette Chang-Zahn, and Lawrence Chang. 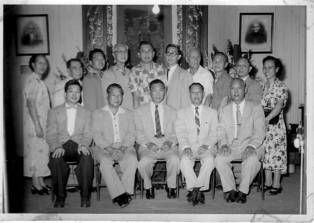 Bobby Chang and his cousin Ed Chang (Oo Syak Past-President, 1998-2001) would like to share an account of the life of their grandfather, Chang Kee. Bobby Chang is the #2 son of Oo Syak Past-President Sing Chang, 1977-1978, and Dorothy Yim Chang. He is married to Oo Syak Director, Chris Chang. Candice Lee, a granddaughter, shares the following about Chang Kee and Chang Batt. Record of Chang Kee's Hawaiian Citizenship, July 23, 1892. The Chang Kee family portrait taken in the 1920's. 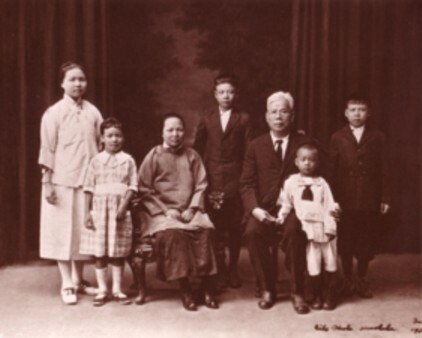 L-R: Daughters Clara and Dorothy, wife Lin Hoy, son Sing, Chang Kee, son Yuk Hung, and son Clarence. The history of Chang Kee starts 87th generations ago in the Zhou Dynasty ?? when King Xuan ???. 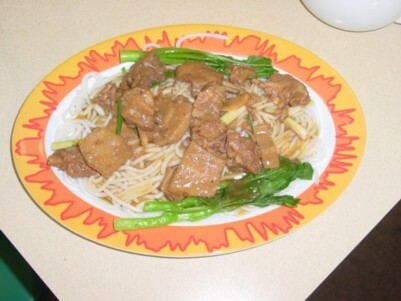 Click here for Recipe for delicious Dau Lau, compliments of Dorothy Y. Chang (Mrs. Sing Chang). 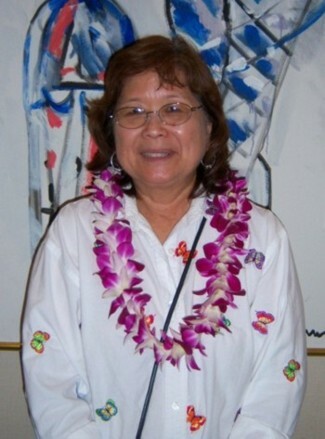 Mrs. Dorothy Y. Chang at the 2007 Installation Meeting. November 15, 2008 Chang Kee Family Reunion Photos. Email from Connie Mark after her November 2011 trip to Oo Syak Village. Mrs. Mo Ching Lum Chang, 1993 Model Chinese Mother of the Year. Wah Chock Chang's Seabee connection. Wes and Mike Sen share Sen history and photos. 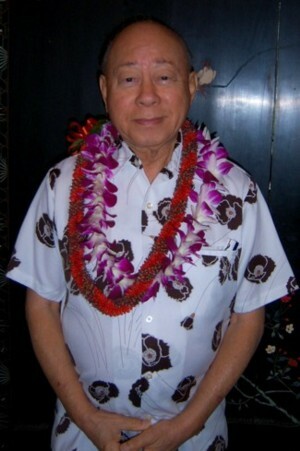 Clarence Sen celebrating 88 yrs in 2011. 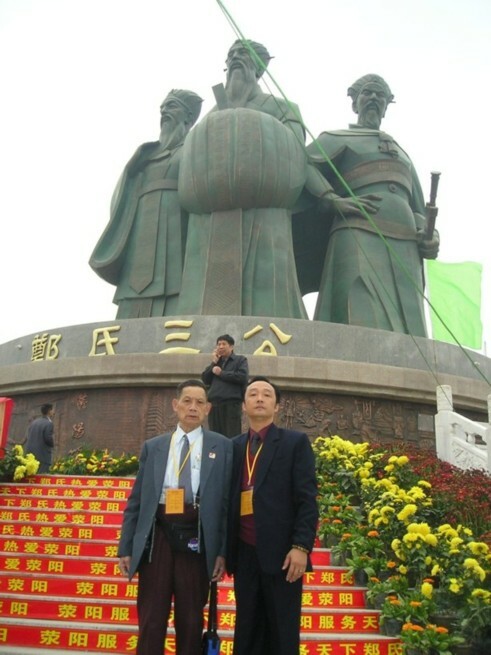 Leland Sun, great-grandson of Dr. Sun Yet Sen.
Oo Syak used to be the capital and center of power of Sam Heung (San Xiang in Mandarin) County, and even the entire Zhong San area. Oo Syak village has been a land for many leaders. 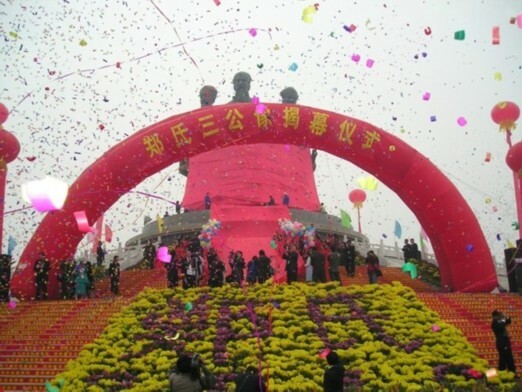 There is a statue in the middle of town of a political leader called Cheng Kwun Ying who is now recognized as the founder of the modern China's socio-economic philosophy. He wrote a thesis in the late 1800's used by Sun Yat Sen and Mao Tse Tung which gave all the tenets to today's economic growth. Cheng Kwun Ying was a citizen of Oo Syak. Oo Syak was also the center for counter-revolutionary development for the Anti-Japanese invasion and subsequent movement to rid of the tyrant and corrupt Ching Dynasty in order to establish the Republic. 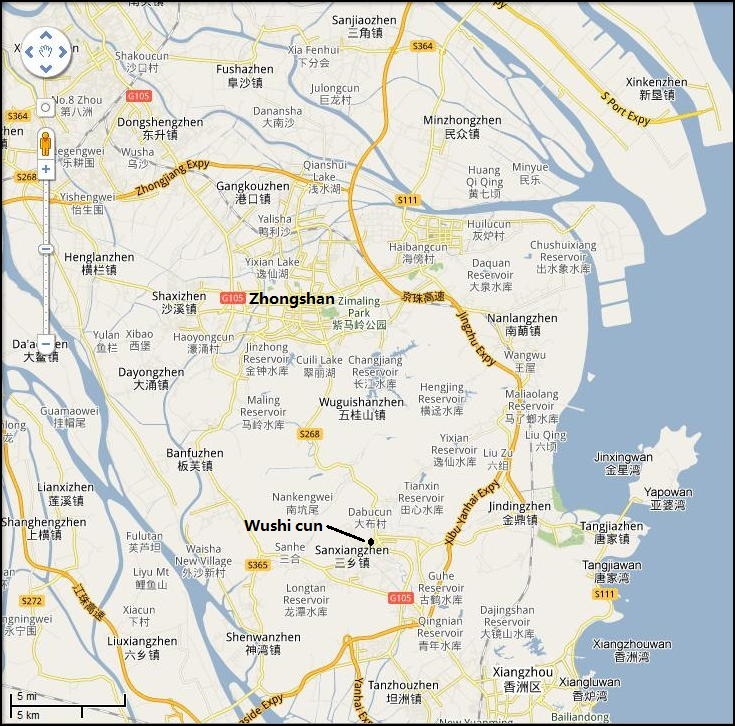 Sam Heung County are neighbors with Sun Yat Sen. As a matter of fact, Zhong San was named after Sun Zhong San (name of Sun Yat Sen in Chinese). 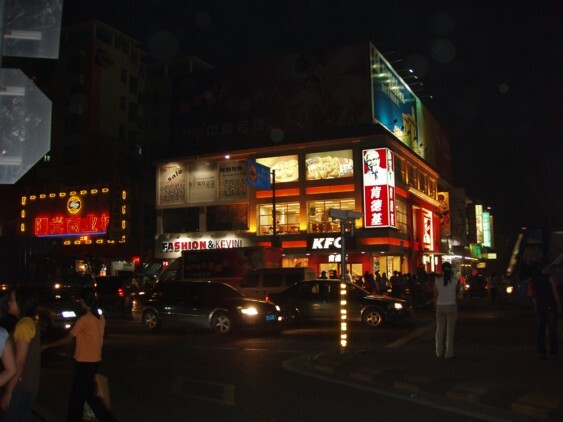 Sam Heung was previously called Heung San or fragrant mountain, in a way like Hawaii was called Tan Heung San. 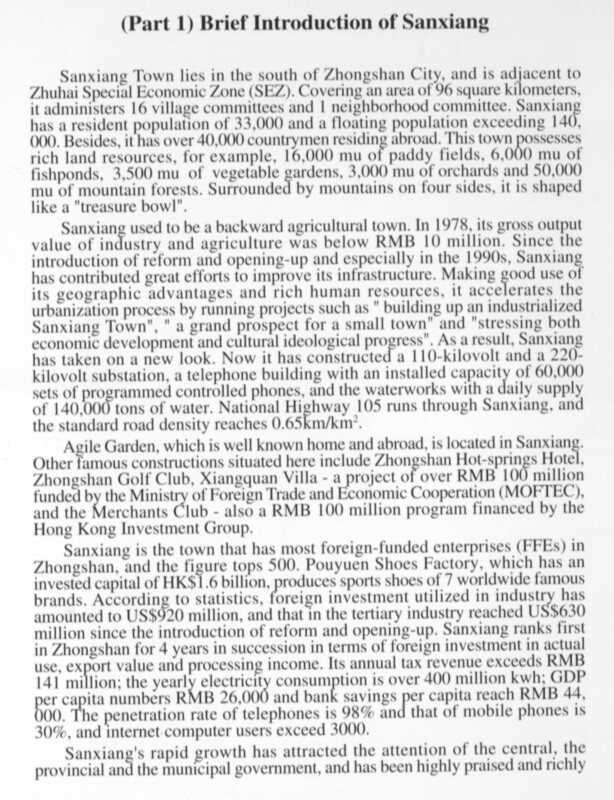 Zhong San and especially Sam Heung has a high growth economy. Their leadership is exceptional compared to other places. The main reason is because Sam Heung citizens (the original ones) are educated people since most had overseas families which could send money back home. This is different from other inner cities which did not have this ability. For that reason, people from Sam Heong (and Oo Syak) are normally educated and generous. For an article about Sam Heung, please visit Sam Heung. For information about Mr. Chen, please visit Basilio Chen and Basilio Chen's presentation. In his presentation, Basilio Chen talked about our Zheng heritage and mentions The Great Chinese Mariner Zheng He (Cheng Ho). Through September 7, 2008, the National Geographic Museum featured "China's Forgotten Fleet-Voyages of Zheng He." We thank our friend Joyce Chan for keeping us informed. Read the E-Mail from Basilio Chen dated 6-23-2005. Photo 1. Photo 2. Read the E-Mail from Basilio Chen dated 6-25-2005. Read the E-Mail from Basilio Chen dated 9-30-2005. The Wong Kwok Hometown Noodle house in Honolulu (Sam Heung Lai Hoon Deem) is quite possibly the only noodle shop in America serving the famous Zhongshan Lai Hoon (Cantonese: Lai Funn) made famous by Sam Heung people. 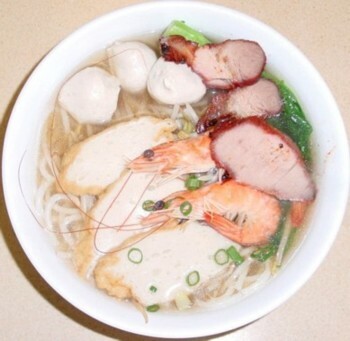 Fishcake dish with lai hoon in soup. Duck dish with lai hoon in gravy. Basilio Chen e-mail attached to photos. Biography of Henry Chang Manayan. 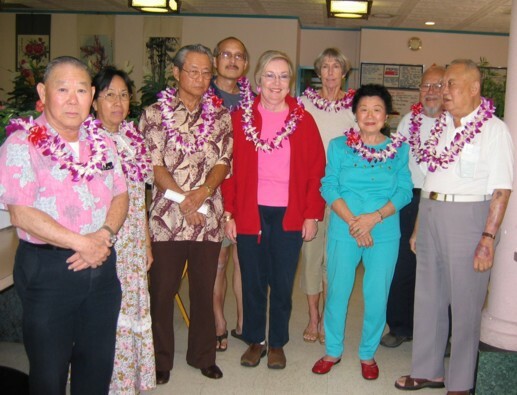 Member Thomas Mun Chew Chang, retired, Professor Emeritus, Educational Psychology, UHM, had an article in the Honolulu Advertiser, 1/9/2000, titled "Pidgin English Formed Great Divide." Thomas was born in 1924, went to Palolo Elementary until the 4th grade in 1933. He went on to St. Louis School graduating in 1941. His father was Chang Koon Kwai Chang of Oo Syak. Thomas was also born in Oo Syak. Cheng Wing Yeong Tong of Vancouver. More on Cheng Wing Yeong Tong. Old photo of Cheng Wing Yeong Tong. 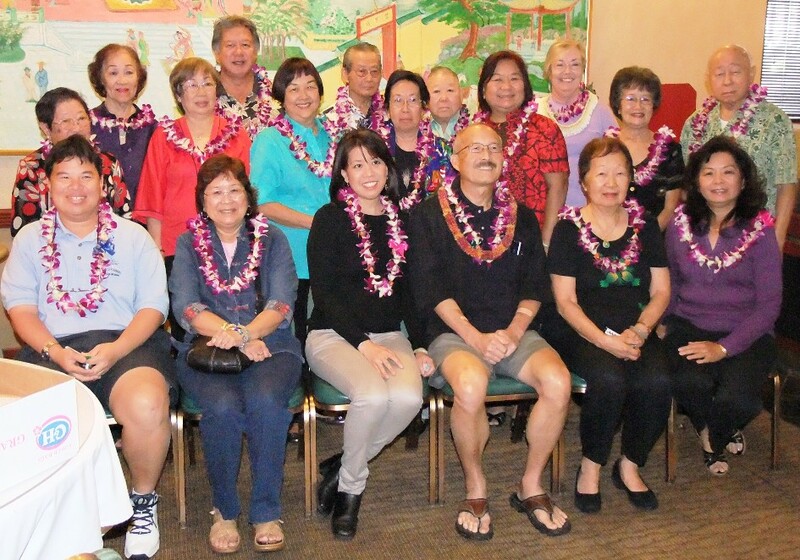 2015 Oo Syak Gee Lu Society Officers & Directors at Mandalay Restaurant on January 4, 2015. 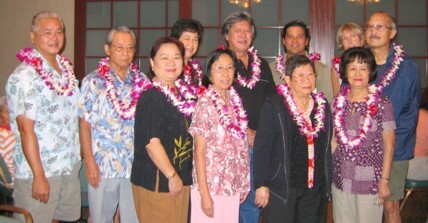 The 2010 Officers and Directors of Oo Syak Gee Lu. The following article was found through the Internet. It is by Mr. Lester Chow. 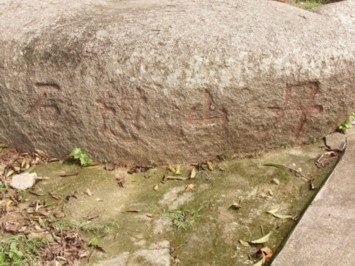 It also mentions the Chang and Cheng surnames. Hope it interests you. Chow Internet Article.